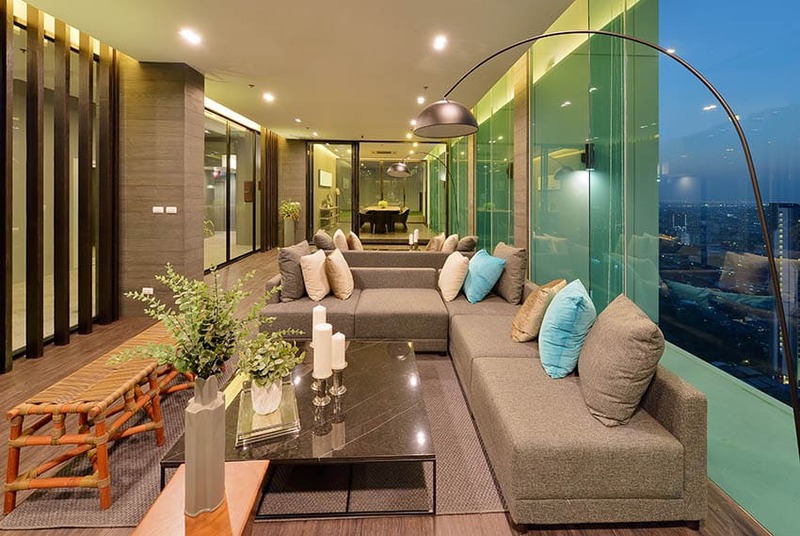 Search Japanese interior design on the internet and you are met with thousands of imagines of idealized, modern, sparsely designed, large, airy spaces. While the clean look is pretty accurate, most Japanese homes are small, some being just one room large enough for a futon, a laptop, and a rice cooker on the floor. The cornerstone of Japanese design is functionality. Storage, compact furnishings, and more storage. These are the things that people focus most on when designing their spaces here in Japan. Japanese design is a lot more than the modern images that you find online, so let’s explore design from the jewel that is Japan! Flexibility is key in a country where your bedroom can also be your living room and kitchen! For those living in homes with tatami rooms, futons are used. You can fold it up and store it in the closet when it isn’t in use so that you have a multi-purpose room. It is quite common for the whole household to share one tatami room for sleeping, especially in older or more traditionally built homes. In these spaces, you often have a low table on which to place an alarm clock. The closets are large and built-in, so you often won’t find heavy furnishings like dressers or nightstands in these spaces. 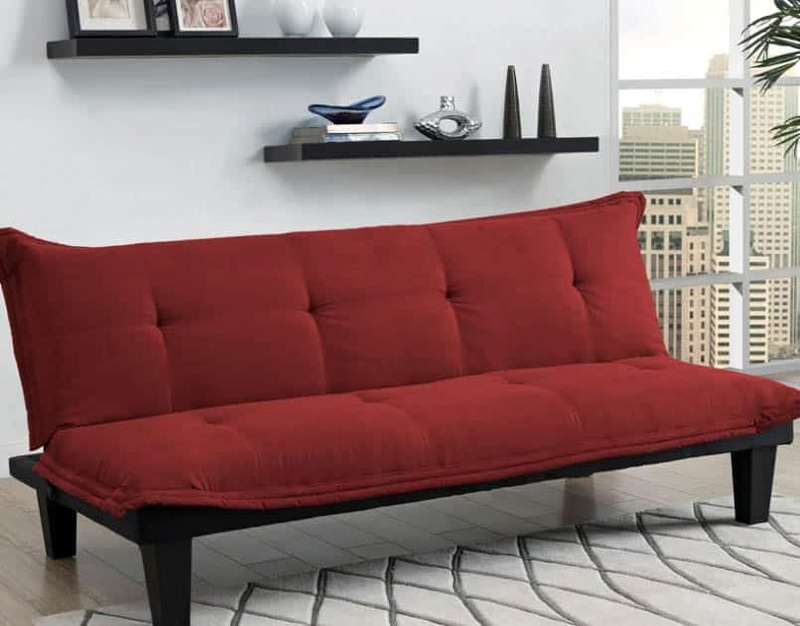 If you have a small apartment and need more flexibility, consider purchasing a futon. You can store it away each morning, giving you room to lounge, build model cars, or practice yoga, even in a small studio apartment. Keep your other furnishings simple and minimal, fresh floral arrangements are quite popular in Japan, so consider placing fresh flowers on your nightstand each week. 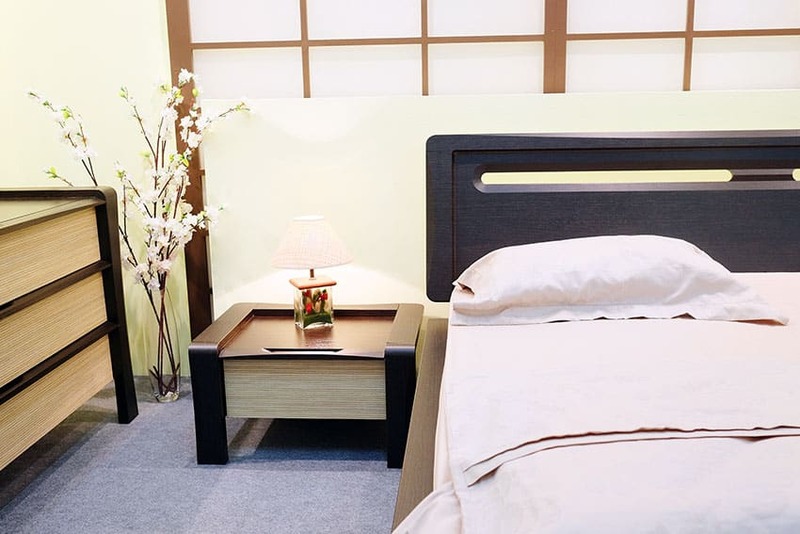 Newer buildings often lack these tatami rooms so western-style beds are used. 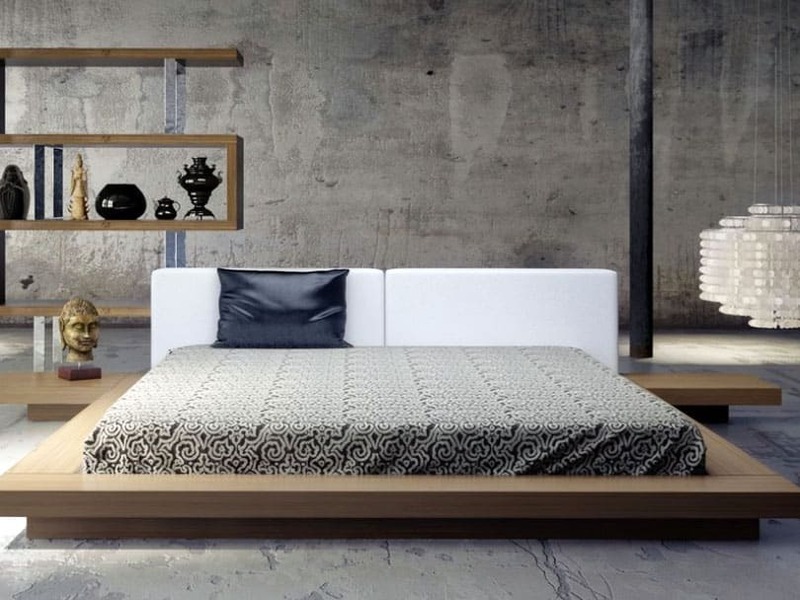 Beds give us an opportunity for extra storage. Headboards contain hidden bookcases, drawers or bins hide under beds, and some mattresses even lift up to expose under-bed storage for off-season clothing or bedding. Children’s beds are remarkable, often containing shelving, a small dresser, and space for a roll-away desk and chair, along with shelving next to the mattress for a lamp and some bedtime reading. A lamp, an alarm clock, and a vase full of fresh flowers are all you need on your bedside tables. Change your rugs out with the season, choose soft colors from nature as your inspiration for spring and summer and darker colors or blues and whites for autumn and winter. Design in Japan is largely based on the season and many people even change out the art on their walls according to the season or holiday. If you don’t have a large closet, keep your dresser simple or consider a large wardrobe with simple, clean lines, so that you can store all of your clothing and accessories out of sight. Prop a large mirror against the wall, put a potted plant on the floor next to it, and hang some nature-inspired art on the wall for a soothing retreat. Japan is full of things that are quirky and cute and that quirky cuteness spills over into design in a major way. Bread themed pillows are quite popular right now. These pillows are soft, squishy, and shaped like just about every type of bread imaginable, from slices of toast to full on baguettes, a basket of these in the corner of a room or a few tossed on a bed are sure to bring the fun side of Japan to your space. Your bedroom is your personal space, off-limits to most visitors, whether your collect anime pillows or unicorn figurines, decorate your space to reflect your passion. Florals and nature are big themes in Japan so bedding and window treatments are most commonly available in floral prints. Combining patterns and textures is also big in Japan. If you have a duvet with an oversized rose print on it, use sheets in the same color family in a plaid or a picnic-blanket checker pattern. Add some striped throw pillows and throw in a little bit of whimsy with a deer-head throw pillow. 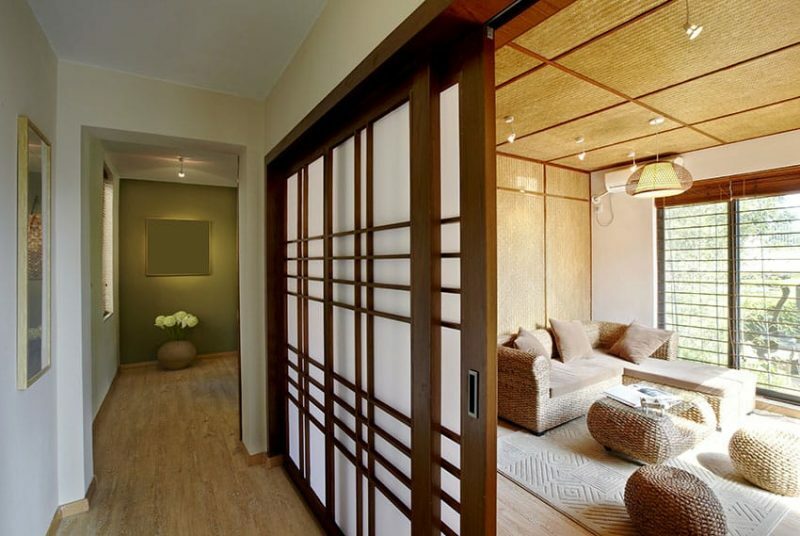 Room dividers have been traditionally used since the 8th century in Japan as a way to create a separate area in a room for tea and religious ceremonies. 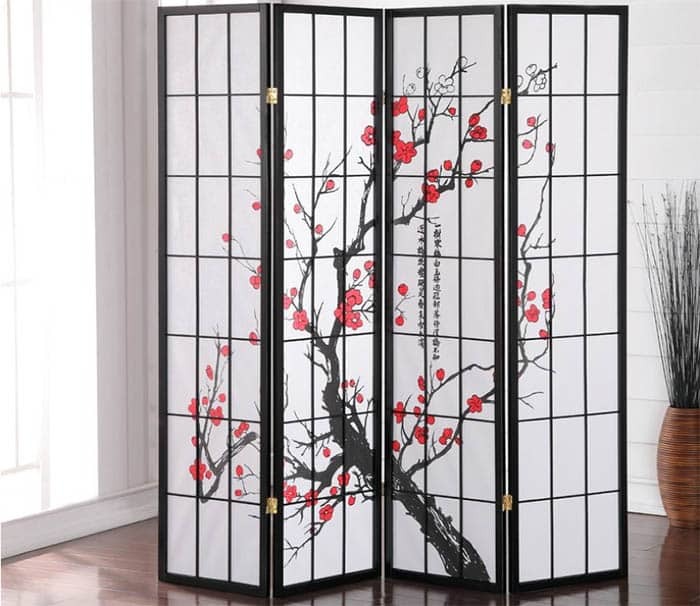 Called folding Shoji screens they can be used nowadays to separate parts of a room as an office space, redirect foot traffic, or as room decor. As always, be sure to include fresh greenery or a vase of flowers somewhere in your room. And if you have a hobby, be sure to let it be part of your design. If you like fishing, find an old fishing basket at a market and use it to hold extra blankets. If model-building is your thing, install floating shelves and display your best models in protective cases. Keep your furnishings simple and let your accessories and personal items be the focus here. Japanese bathrooms are incredible. Their layout and design just make so much sense. The shower and bathtub are housed in a wet room, usually divided from the sink space by a shower door and wall. You have a small stool on which to sit while you shower and there is usually a low mirror so you can see to wash your face and hair. Sitting to shower may seem odd but it makes a lot of sense. You only turn the water on when you need it and it is so much easier to shave your legs! 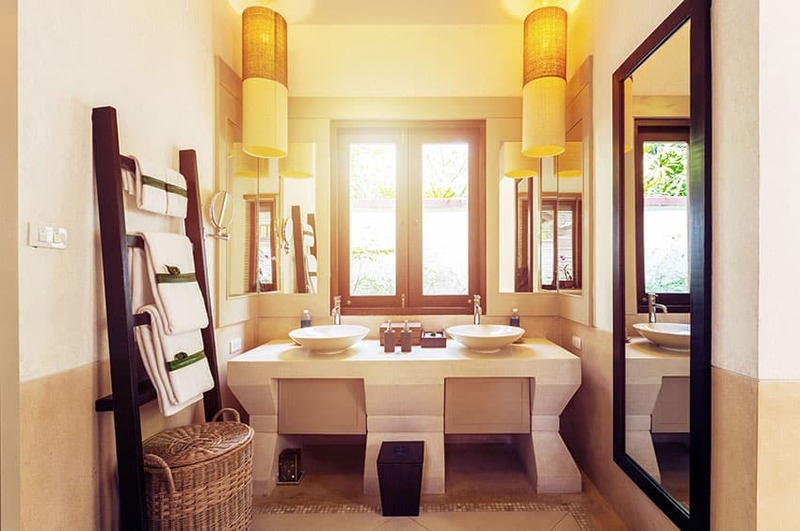 There is usually a low shelf built into the wall in the wet room for your shampoos and body washes and large suction-cup hooks are used to hang loofahs and other scrubbies and sponges. 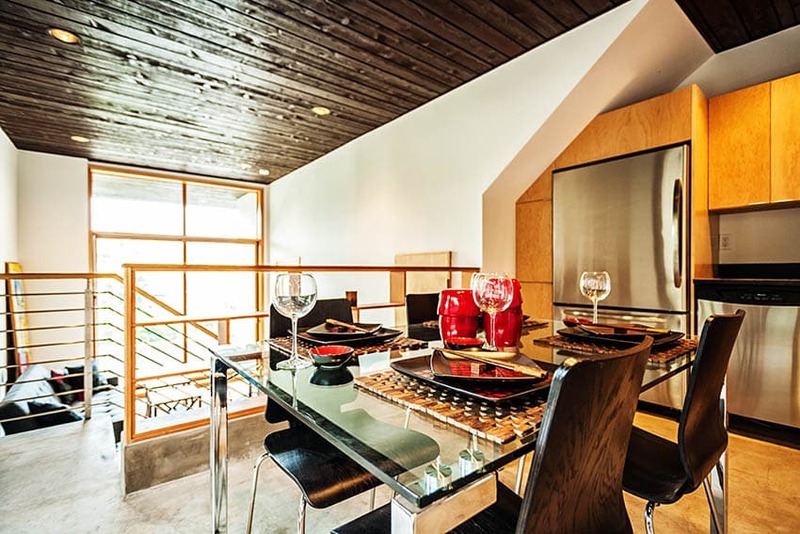 Wood or faux wood gives the entire space a natural, warm feel to the space. 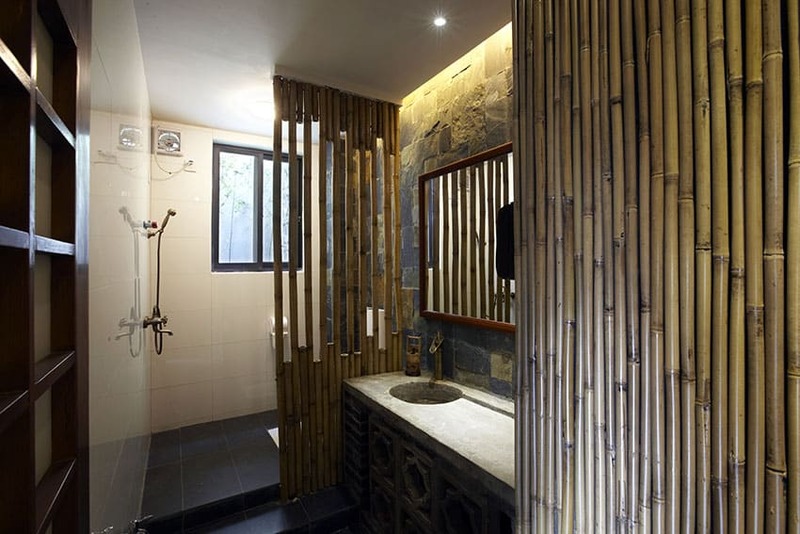 Ceramic tile faux wood planks would be a fantastic option in the Japanese-inspired bathroom. In your shower space, go ahead and carry them up on one wall, as accent walls are popular in newer Japanese homes. If you have an oversized shower, have a showerhead rail installed so you can use your shower head high or low and get a small, teak stool to place in your shower. Instead of a terry bath mat, find a teak wood shower mat to place on the floor. As in the bedroom, storage is of the utmost importance. 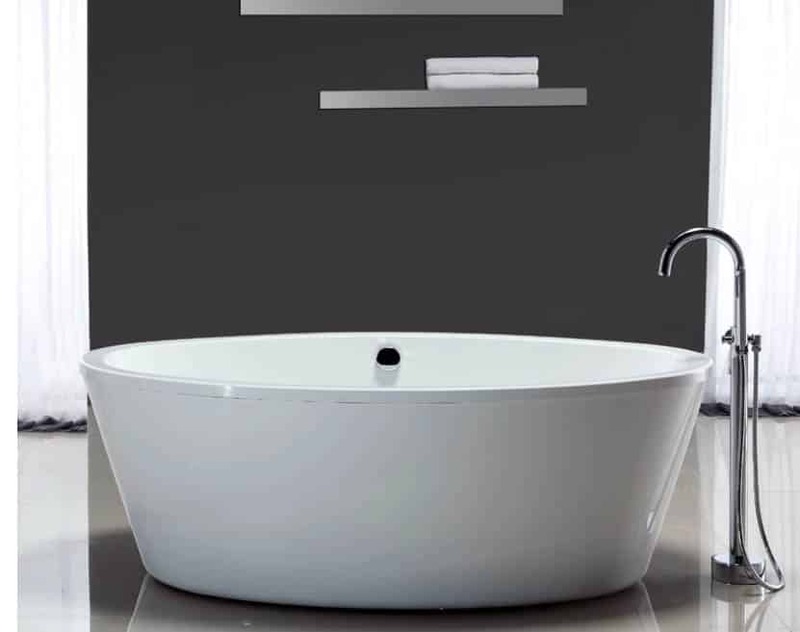 You want simple, clean lines, but ample storage for all of your toiletries and various bathroom items. If you have open shelving, linen bins with handles are great for hiding blow dryers and flat-irons. Use cabinet organizers under the sink to maximize storage. You can pick up a nice, inexpensive frame in a standard 8×10 inch size and simply print up beautiful art on quality paper, making it simple to change out your art with the seasons. Regardless of your color scheme here, go with luxurious white towels. Don’t skimp on the towels, a bath or shower doesn’t just wash the dirt away, it washes the day away, you deserve to wrap yourself in sumptuous softness after a nice soak. White is great because you can wash it in the hottest of hot water and you can bleach it, they won’t ever fade, and when you change your color scheme, you won’t have to purchase new towels. Keeping it simple is really what Japanese design is all about. Japanese furniture stores and design studios are full of flexible, transformative furniture. Because most homes and apartments feature an open LDK (living, dining, kitchen) plan, a lot of furniture has to do double duty. If you have a smaller space or if you just like eating in the living room while catching up on the latest Netflix offerings, look to the Adjustable Height Table. These tables are hugely popular in Japanese design, and with good reason! Coffee table by day, dining table or gaming table by night, space saving, and great looking, you can’t beat this transforming feat of engineering. They come in just about every style and shape, so there is sure to be on that you love. Even if you have the space for a separate dining room, an Adjustable Height table is great for when you want to work on your laptop without having it in your lap or if you want to put together a puzzle while watching T.V. You will not find 96 inch sofas here unless its truly a luxury home; keep your seating small for true Japanese style. Floor seats and floor cushions are also popular, sometimes instead of traditional sofas or chairs. Go for comfort and simplicity. 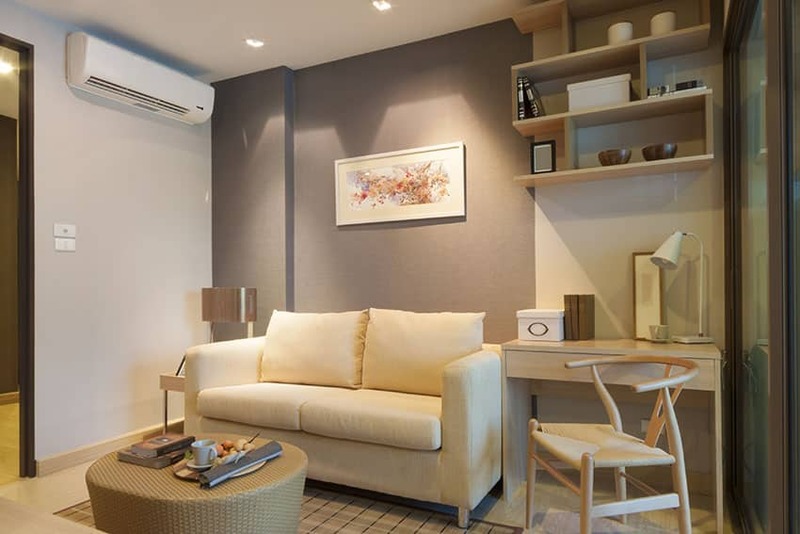 A smaller-scale sectional in a cream-colored leather is easy to keep clean and has a great aesthetic, add to it an Adjustable Height table in a dark wood, a small side table in wicker or another natural material, a simple, modern floor lamp, and you have the foundation for great Japanese design. Place your tv on a low, long tv bench with built-in storage that will hide your other electronics and games. If you need more space, go up the wall with a floor to ceiling bookcase that matches the wood in the tv bench and coffee table. Throw a couple of oversize, soft floor pillows next to the coffee table and use a soft, comfortable heated rug in the winter and a cool kilim rug in the summer. You want to make sure your rug is comfortable not just for your feet, but for any lounging that may take place on it! Japanese paper lantern lamps come in a variety of styles and sizes and and be a great way to emphasize the design style. 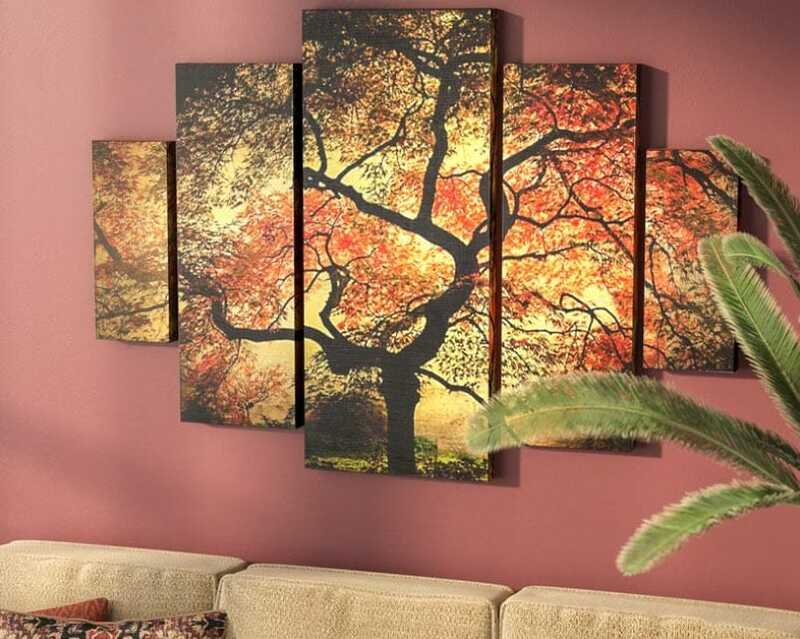 Not only do they look the part, they provide a warm ambiance that will give your room a warm glow. Place a potted plant near a sunny window and a vase of fresh flowers on the bookshelf, personalize your walls with art, and you have a beautiful, Japanese-inspired living room. Japanese kitchens are typically one counter with a small fridge and sometimes a range top. Occasionally there will be a small fish oven under the range top, but most often you will find countertop convection microwaves instead of the large ovens that American homes have. Some smaller apartments don’t even have a range, the occupant just purchases a rice cooker, small microwave, and an electric burner on which to cook. With limited counter and cabinet space, people who love to cook have to get creative with storage. Vertical storage options abound in Japan, ranging from metal racks on tension poles that give you extra shelving between your counter and upper cabinets to cute stackable wooden shelves that hold lidded glass bins for your small supply of sugar, salt, and seasonings. Magnetic metal bars placed on the wall near the prep area hold knives, giving your more counter space. Beautiful indigo and white dinnerware rest on stylish floating natural wood shelves, glasses line the shelves above them. Nestled among the plates and cups are little vases with flowers or herbs, silverware is stashed in vintage pottery pieces. They key to great kitchen design in Japan is to keep it clean and keep it clear of clutter so that you can have room in which to prep your food. 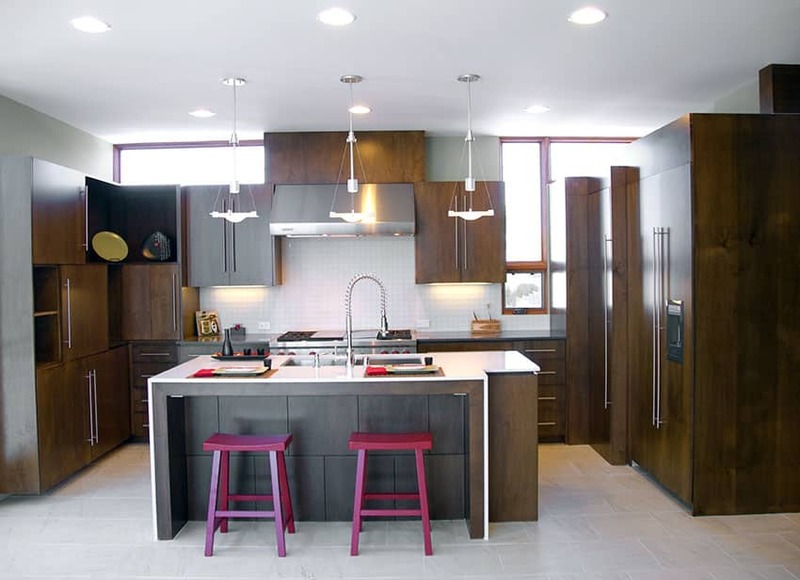 If you want a Japanese inspired kitchen, go natural and practical, Birch cabinetry, Corian or Lava Stone countertops in a light color, wood or cork flooring, and light colored-solid surface or subway tile backsplash are your foundations. If you don’t have a pantry, invest in a storage solution that goes floor to ceiling, every Japanese home store has units that span the height of the wall and are made specifically to hold a microwave, rice cooker on a slide out tray, with deep drawers and cabinets for storage of food and dishes. That kind of unit is difficult to find in most western countries, but Ikea has several modular systems that can be customized to be used this way. Take advantage of your vertical spaces, hang your pots and pans from heavy-duty hooks on the wall above the stove, hang your knives on a magnetic strip, hang little white ceramic pots from another metal rail and store your cooking utensils in them. Japanese kitchen design is all about making use of spaces that are otherwise ignored. Keep it clean, keep it clear of clutter, and keep the colors light and bright, and you will achieve Japanese style. It is likely that Japan wrote the book on small spaces. With so much of the main island uninhabitable because of the mountainous terrain, people tend to congregate and live in the major cities. This means that the houses and apartments are small, space is truly at a premium here! Because of this, Japanese home stores are loaded with furniture that does double duty, heavy-duty suction cup wall hooks, floor to ceiling shelving, and storage solutions to infinity and beyond! We’ve already talked about the many virtues of the Adjustable Height table, but if you want a softer spot to kick up your feet, grab a storage ottoman. They are easy to find, highly customizable, and come in a large variety of shapes and sizes. A storage ottoman comes in handy when you have a small living room with limited storage, stash your knitting or PC Gamer magazines away or use it as a toybox. Narrow sofa tables that are about 6 inches in depth don’t take up much space but add a lot in storage value. 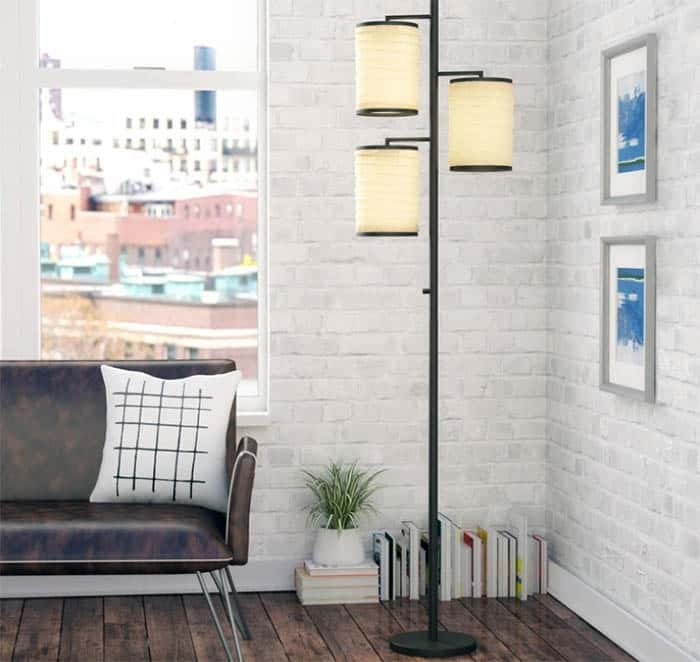 When placed against a wall behind a sofa, they can hold a lamp, act as a table for drinks and food, and works a bookshelf for your favorite lazy-day reads. Side tables that are more like baskets with wood lids are popular in Japan as well, you can store all sorts of items in side of them (they are a great place for winter gloves, hats, and scarves when you don’t have a lot of closet space!) they don’t take up much space, and they give you another tabletop to use. You will often see one whole wall of storage furniture in Japanese homes. They have the look of built-ins and you can store off-season clothing, board games, or even claim it for extra pantry space. If your storage is open, get some matching lidded boxes or baskets and place them on the shelves and fill them with your clutter. You will get a clean, uniform look and no one will know that you have 8 boxes full of Legos sitting in your living room! In your small bedroom, use over the door hooks to store belts, bags, and scarves. Put hooks on the inside of your closet doors and hang a shoe organizer, it can hold shoes, shocks, jewelry, and undergarments. If you have a small closet, opt out of a dresser and get a wardrobe instead, look for one that has a full-size mirror built right for added convenience. Another popular solution to clutter is to get a small shelving unit, put it wherever it will fit in your home, put a tension rod near the top of the unit, and hang a small curtain or vintage obi or pretty fabric over the front of the unit to hide the clutter. You have inexpensive, portable, practical storage and an extra tabletop surface. It is perfect for shoe storage in a narrow entryway, put a pretty wooden or ceramic bowl on the tabletop and use it to store your keys and wallet. Add a small vase of fresh flowers and you have an inviting, tidy entry, Japanese style! Japanese design is looked at with a practical eye, with storage being the main theme. 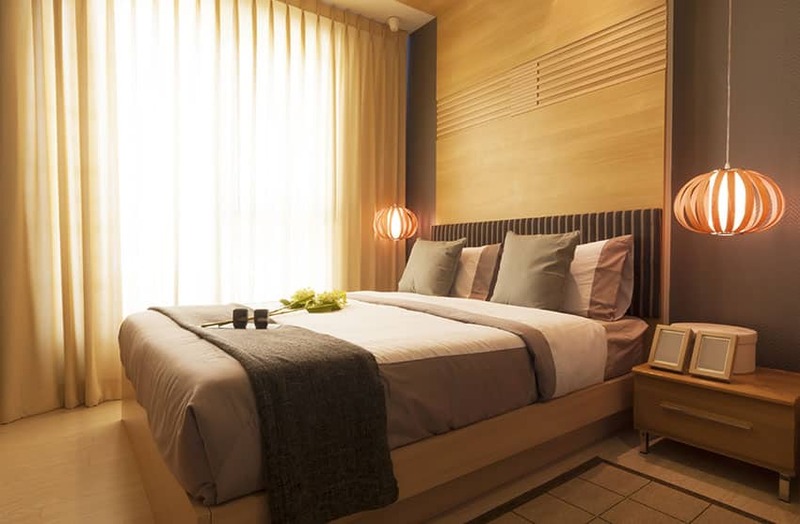 Multi-tasking furniture, natural wood, fresh flowers and indoor plants, and changing at least some of your decorative items to go with the season are the keys to creating true Japanese style.